Capt. Robert ANDREWS (1593 – 1643) was Alex’s 11th Great Grandfather; one of 4,096 in this generation of the Shaw line. He was also Alex’s 12th Great Grandfather; one of 8,192 in this generation of the Miller line. Robert Andrews was born about 1593 in Norfolk, England. He married Elizabeth [__?__] about 1618 in Norwich, Norfolk, England. Capt. Robert Andrews came from Norwich, Norfolk, England, early in the year 1635, as owner and master of the ship”Angel Gabriel” which sank in the Great Colonial Hurricane, Robert died 1 Mar 1642/43 in Ipswich, Mass. Robert Andrews was master of the Angel Gabriel which sank in a storm off Pemaquid Point, near the newly established town of Bristol, Maine, on August 15, 1635. The Angel Gabriel [Wikipedia] was a 240 ton English passenger galleon. She was commissioned for Sir Walter Raleigh‘s last expedition to America in 1617 and took part in the Duke of Buckingham’s 1627 assault on Cadiz. 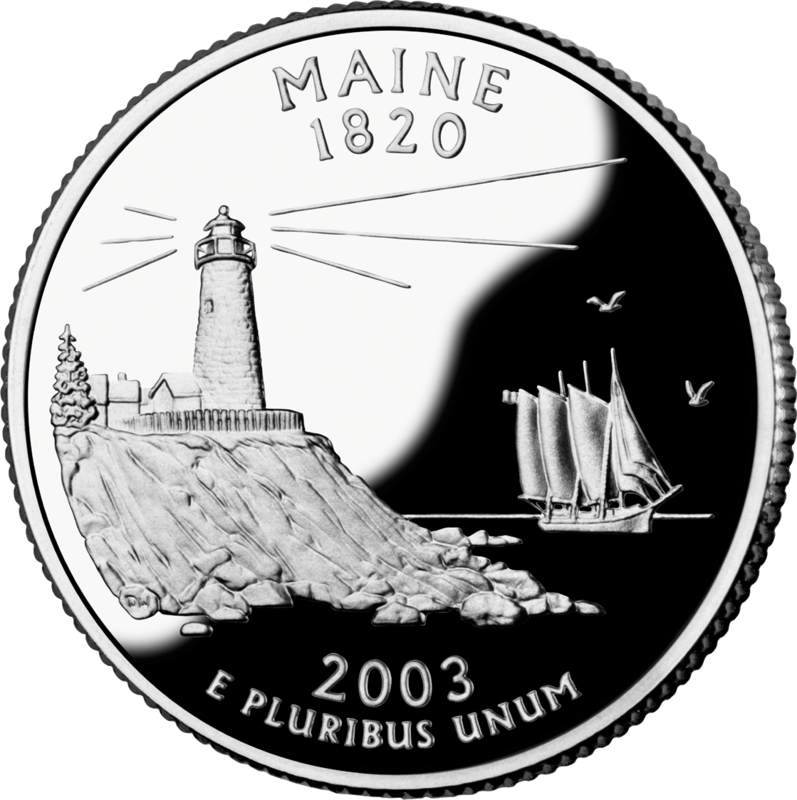 She sank in a storm off Pemaquid Point, (Google Maps) near the newly established town of Bristol, Maine, on August 15, 1635. The sinking occurred during the middle of the Great Migration. The ship was initially built as the Starre in 1615 and renamed the Jason by Sir Walter Raleigh for use in his second expedition to Guiana (then under control of the Spanish) in 1617. Following Raleigh’s return it was seized and became a merchant ship, renamed the Angel Gabriel. In 1616, Raleigh was released from the tower to conduct a second expedition to Venezuela in search of El Dorado. During the expedition, Raleigh’s men, under the command of Lawrence Keymis, attacked the Spanish outpost of Santo Tomé de Guayana (San Tomé) on the Orinoco River. In the initial attack on the settlement, Raleigh’s son Walter was killed by a bullet. 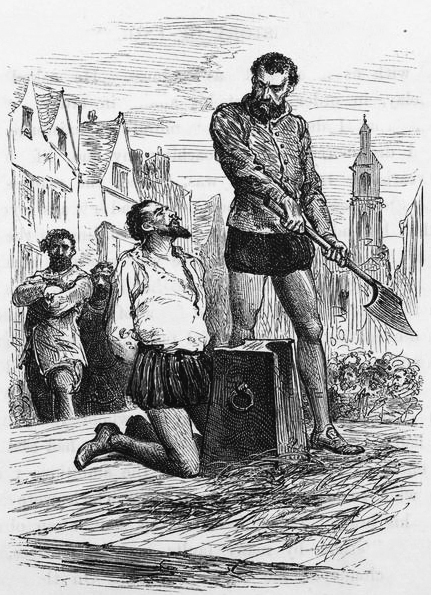 On Raleigh’s return to England, the outraged Count Gondomar, the Spanish ambassador, successfully demanded that King James reinstate Raleigh’s death sentence. Lawrence Kemys was a seaman and companion of Sir Walter Raleigh. Kemys was unintentionally instrumental in the sequence of events that led to the final downfall and execution of Raleigh after leading a party of Raleigh’s men in an attack on the Spanish Outpost of Santo Tome on the Orinoco River, against Raleigh’s orders, and in violation of peace treaties with Spain. Raleigh’s son Wat was killed during the attack. A condition of Raleigh’s release from the Tower of london in 1616 to undertake his mission to Guiana in search of gold deposits had been that he not attack or harass Spanish colonies or shipping. As Raleigh had been under a suspended death sentence for treason since 1603, the fact that men under his command had violated this order meant that James I would have had little option but to enforce this earlier sentence. 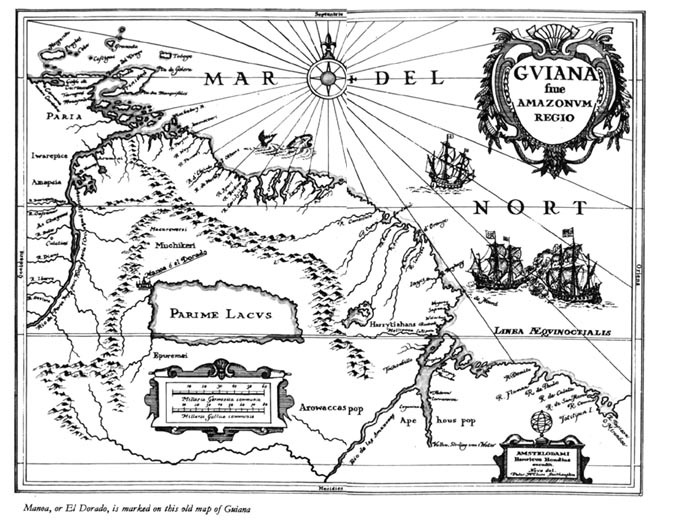 Kemys had sailed with Raleigh to Guiana in search of gold with which Raleigh hoped to buy back a degree of royal favour. Because of his history of antagonism with the Spanish, it was required that Kemys, and not Raleigh lead the expedition onto the mainland. The sequence of events that led to Kemys’ attack on Santo Tome in January 1618 is unclear, with English and Spanish sources offering differing accounts of the incident, and each accusing the other of having fired the first shots, but it seems unlikely that Kemys intended what transpired. Raleigh’s son Wat was the first casualty of the brief skirmish, killed by a musket ball. one other Englishman and two Spaniards were also killed, before the Spanish garrison fled. Kemys’ men found themselves in control of the town, but surrounded by hostile Spanish forces. Kemys sent out a few brief expeditions in search of the promised gold, but these were unsuccessful. After 29 days and failed attempts to negotiate with the Spanish, Kemys ordered Santo Tome looted and burned. They set off back down the Orinoco to rejoin Raleigh and their fleet, finally arriving back there on 2 March. Kemys had already informed Raleigh by letter of the unfolding disaster and the death of his son. He went to Raleigh’s cabin [on the future Angel Gabriel] to beg forgiveness, but found Raleigh unable to grant him this. In Raleigh’s words “I told him that he had undone me by his obstinacy, and that I would not favour… in any sort his former follie.” Kemys reportedly replied “I know then, Sir, what course to take.” before returning to his own cabin. Keyms then committed suicide by shooting himself in the chest with a pistol, then when that did not prove immediately fatal, stabbing himself in the heart with a knife. A stout ship designed and built to cope with combat, even as a merchant ship the Angel Gabriel was involved in many further skirmishes between 1618 and 1635, including a notable engagement in 1627 off Cadiz where it was boarded several times but was able to clear its decks each time and eventually beat off three Spanish ships. This was possible because the defenders were able to retreat into the forecastle and sterncastle which had reinforced bulkheads fitted with gunports for small cannon and shoulder weapons. 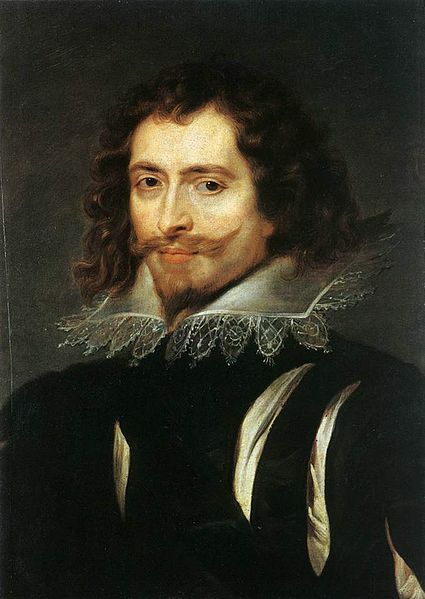 The attack on Cadiz was led by George Villiers, 1st Duke of Buckingham (1592–1628), the favourite, claimed by some to be the lover, of King James I of England. Despite a very patchy political and military record, he remained at the height of royal favour for the first two years of the reign of Charles I, until he was assassinated. He was one of the most rewarded royal courtiers in all history. In Buckingham led an expedition to repeat the actions of Sir Francis Drake by seizing the main Spanish port at Cádiz and burning the fleet in its harbour. Though his plan was tactically sound, landing further up the coast and marching the militia army on the city, the troops were ill-equipped, ill-disciplined and ill-trained. Coming upon a warehouse filled with wine, they simply got drunk, and the attack was called off. The English army briefly occupied a small port further down the coast before re-boarding its ships. Buckingham then negotiated with the French Prime Minister to the King, Cardinal Richelieu, for English ships to aid Richelieu in his fight against the French Protestants (Huguenots), in return for French aid against the Spanish occupying the Palatinate. Seven English warships participated in operations against La Rochelle and in the Siege of Saint-Martin-de-Ré (1625), but Parliament was disgusted and horrified at the thought of English Protestants fighting French Protestants. [Note we have several ancestral Huguenot families in our family tree who escaped from La Rochelle and Isle de Re to New Amsterdam, though they left about fifty years after these battles when thing got really bad.] The plan only fueled their fears of secret Catholicism at court. Buckingham himself, believing that the failure of his enterprise was the result of treachery by Richelieu, formulated an alliance among the churchman’s many enemies, a policy that included support for the very Huguenots whom he had recently attacked. In 1627, Buckingham led another failure: an attempt to aid his new Huguenot allies besieged at La Rochelle in France, by leading the Siege of Saint-Martin-de-Ré (1627). He lost more than 4,000 of a force of 7,000 men. While organizing a second campaign in Portsmouth in 1628, he was stabbed to death, on August 23, at the Greyhound Pub; the assassin was John Felton, an army officer who had been wounded in the earlier military adventure. Felton believed he had been passed over for promotion by Buckingham. Felton was hanged in October of that year. Buckingham was buried in Westminster Abbey. His lavish tomb bears a Latin inscription that may be translated as “The Enigma of the World”. A recent re-analysis of data from the Great Colonial Hurricane of 1635 by scientists of the Atmospheric Oceanic Meteorological Laboratory’s Hurricane Re-analysis project analyzes the hurricane as being a Category Four hurricane when it made landfall in the Northeast. In addition, the hurricane is noted for potentially causing the highest storm surge along the Eastern Coast of the United States in recorded history: near the head of Narragansett Bay with a value of approximately 20 feet . The town of Plymouth, Massachusetts suffered severe damage with houses blown down and the wind cut great mile-long sections of complete blowdown outside Plymouth and other eastern Massachusetts rural areas. The study also indicates that this hurricane was very likely the most intense hurricane to ever impact the New England region in recorded history. In addition, reconstruction of the track and intensity using storm surge modeling indicates that the hurricane potentially had an intensity of 938 mbar (27.7 inHg) when it made landfall near Long Island. We are fortunate that the chronicles of three great writers of the time have left us details of the storm. The journals of the leaders of the two colonies, John Winthrop of Massachusetts Bay and William Bradford of Plymouth, both mention in some detail the meteorological aspects of the storm. Both also make mention of several ships caught in the fury of the storm and sea. The James of Bristol, held Reverend Richard Mather (wiki) father of the famous Increase Mather and grandfather of Cotton Mather. Another, a small bark, carried Antony Thacher and family. I included Thacher’s legendary story just for fun. Increase Mather, writing nearly fifty years later from contemporary accounts including those of his father, indicated that the fury of the storm “threw down (either breaking them off by the bole or plucking them up by the roots) thousands of great trees in the woods.” Such damage to wide areas of New England’s forests would not occur again until the Great September Gale of 1815. The Isle of Shoals where the some of the fleet tried to ride out the storm is just past the point of arrow on the top of this map. 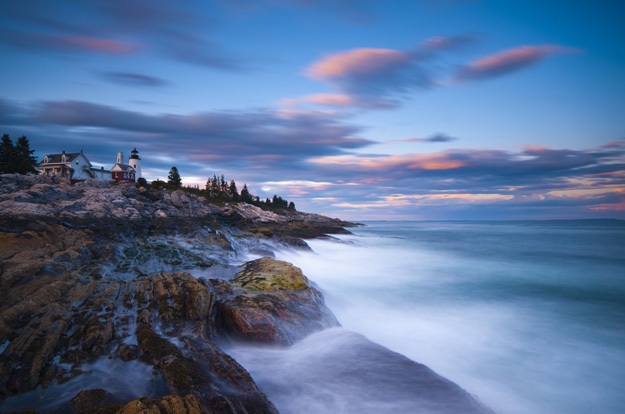 Pemaquid Point where the Angel Gabriel was wrecked is about 150 miles north of Ipswich. Some of the fleet tried to stand down during the storm just outside the Isles of Shoals, but the James lost all three anchors, as no canvas or rope would hold, but on Aug 13, 1635, torn to pieces, and not one death, all one hundred-plus passengers aboard the James managed to make it to Boston Harbor two days later. The Angel Gabriel was wrecked off Pemaquid Point in Maine, but the smaller, faster ships, the Mary, the Bess, and the Diligence outran the storm, and landed in Newfoundland on August 15, 1635. 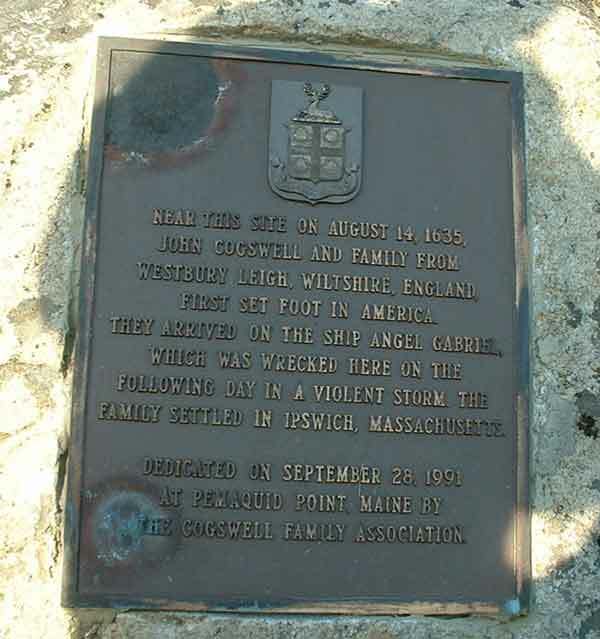 A plaque commemorating the loss was dedicated August 8, 1965 at Pemaquid Point, Maine. 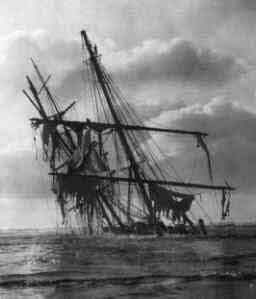 Many of the passengers survived the sinking. 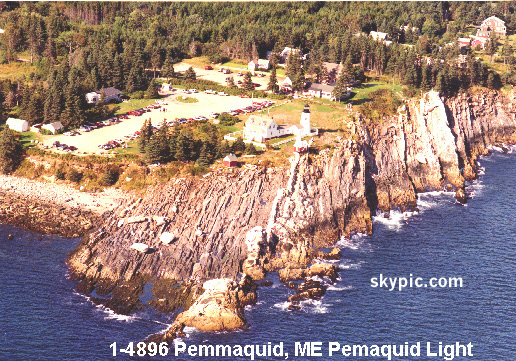 The ship “Angel Gabriel” pulled into Pemaquid Bay (Pemaquid, Maine) on August 13, 1635 and laid at anchor. The next day there was a terrible rain storm which ravaged the whole coast from Nova Scotia to New York starting at morning. The Angel was torn to pieces by the savage storm and cast away. Most of the cattle, 1 seaman and 3 or 4 passengers died. The others escaped to shore. Among the few personal belongings saved was a chest belonging to the Burnham boys. The tides had been as high as 20 feet. Some passengers set up tents along the shore and John Cogswell [Coggswell] went to Boston and sought the help of a Capt. Gallop who commanded a smallbark, or barque as it was called then. He took some passengers to Ipswich and made another trip the end of October. Andrew probably went to Chebacco [southeast Ipswich, then Essex] with his nephews, the three Burnham brothers, and John Cogswell and his family in Capt. Gallop’s barque. ” This Capt. Andrews had a sister Mary,who was the wife of Robert Burnham. Their three boys were John, Thomas and Robert, it is said,were put in the charge of their uncle Andrews, master of the ship”Angel Gabriel.” This ship was cast away at Tammaquid, in Maine, in a terrible storm Aug 15, 1635, after which loss, Capt. Andrews settled with his three nephews at Chebacco in Massachusetts Bay. Benjamin Burnham (born in 1621), also a son of Robert Burnham, did not make the trip to America and eventually went to Madras, India where he lived from 1660-1684. He amassed a great fortune in real estate, including 150 acres which included a part of Burnham Road [which is now Regent Street, London], Burnham Beach Cottage and Burnham Wood. When Benjamin died in London, England about 1691, his will of June 8, 1685 stated that everything would go to his 3 brothers in America. The oldest brother, Edward, who had stayed in England, was quite upset and fought the will in courts. After a long battle in courts of England, the British Crown confiscated the entire estate, as they were noted for such practice in those days, and the Burnhams never regained the estate. Over the next 100 to 200 years, several Burnhams in America would make the long journey to England to contest the taking over of the estate, but were not successful. In 1860, Benjamin’s total estate consisting of real and personal property was valued at $65,200,000 giving an annual income of $2,392,000. We can only imagine what it would be worth today. Capt. Andrews and his three nephews settled at Chebacco [Chebacco Parish was the southeastern-most part of the town of Ipswich, Massachusetts that later became the separate municipality of Essex. ], in Massachusetts Bay on the south side of a river, possibly Chebacco Creeke. Land records of 1635 show that his houselot adjoined property belonging to Thomas Firman, John PERKINS Jr., John Cross, Richard Hoffield and Thomas Hardy. Deacon John Burnham joined the Pequot Expedition in 1637 and in 1639 Ipswich granted him land for his services as a soldier in that expedition. He was appointed deacon of the church at Chebacco. He became the owner of a large tract of land, lying on the east side of what is now known as Haskell’s Creek, which is where he died on 5 Nov. 1694. Lt. Thomas Burnham also joined the Pequot Expedition in 1637 along with his brother, John. He was made Selectman in 1647; Sergeant of the Ipswich Company in 1664; made Ensign in 1665 and was commissioned as Lieutenant in 1683. He was Deputy to the General Court from 1683 to 1685 and on town committees. In 1667 he was granted the privilege of errecting a saw mill on the Chebacco River. He owned much land both in Chebacco and in Ipswich which was divided between his sons, Thomas and James upon his death. In 1645, Thomas married Mary Lawrence [NOT Mary Tuttle], daughter of Thomas Lawrence and Joan Antrobus. Thomas Lawrence died in 1625 in England and his widow, Joan, married John Tuttle. In June 1635, John and Joan Tuttle came to America in the ship “Planter”, along with their children, Joan’s mother [Mrs. Joan Antrobus] and 3 of the Lawrence children. Robert Burnham came to Ipswich at the age of 11 and he removed to Boston in 1644, at the age of 20. He married Frances Hill soon after. While in Boston, he became one of a company who purchased the town of Dover, N.H. Ten years later, in 1654, he removed to Oyster River, N.H. and erected his “garrison house”. In the fury of an easterly storm the ship with her cargo were totally lost; some of the passengers not escaping death, most notably the Blaisdell family. This shipwreck is chronicled as one of the greatest disasters in the annals of Pemaquid. While only a few of the Angel Gabriel were lost, the same fate did not await the twenty-three souls aboard a small bark distinguished only as owned by a Mr Allerton. On the 11th of August 1635, Reverend Avery embarked from Ipswich, Massachussets bound round Cape Ann for Marblehead where he was to be the minister for that new community. With Avery sailed his wife and nine children and his cousin and long time friend, Antony Thacher, accompanied by his wife and six children. Driven before the wind and wave, Avery and Thacher solemnly recommended themselves to the Lord both of earth and seas, expecting the next wave to swallow them into the deep. The surf beat relentlessly upon the vessel. The foremast was down, the main thrice broken, the fore part of the pinnace beaten away, goods tossed about in the sea, accompanied by the wail of children beseeching their Savior’s intercession. A sailor was washed overboard and back again upon the same wave, crying for mercy the while. Fortune, however, smiled upon Thacher, for as he was swept off the rock, he slid into the sea with his head above water. There he espied a plank from the bark, and, reaching out, took hold seconds before the sea dashed him against the rocks. Battered about in the turbulent waters, Thacher soon found his right foot had touched ground. Struggling, he crept to the shore and safety. Turning, he searched the shore for signs of his family and friends. There before him lay his wife untangling herself from the wreckage. Soon the wind died, though the seas remained rough and fearful to the Thachers. Hope for their children stirred him to lift his bruised body and search the shore. But he didn’t find anything. Later, their clothes tattered and torn to the barest threads, the Thachers combed the beach for any scrap of goods by which to sustain their lives. Thacher found a knapsack containing a steel, flint, and horn of powder, then a drowned goat and the hat and coat of his son William. Mrs Thacher found a petticoat. Also found were two wheels of cheese, some butter, and a small brass pot. With the powder, which was miraculously dry, Thacher struck a fire by which they warmed themselves and boiled part of the goat. By Monday, three days after their ordeal had begun, a boat in search of another lost vessel removed them from that desolate island to which Thacher gave the name Thacher’s Woe. The rock he called Avery’s Fall. Buried upon the island, he had left Avery’s eldest daughter, the only body found of the twenty-one lost. So was a legend born, another place-name given to a new land in memorial to man’s struggle with storm and sea. Aprill 20, 1635. Thomas Firman was granted one hundred acres of land, beyond Chebacco Creeke having Robert Andrews land on the north west and a great bare hill on the south west. John PERKINS Junr was granted a house lott containing an acre lying by the river, hauing Thomas Hardyes & Robert Andrewes house lotts on the south west side. Granted to John Cross likewise five and Twenty acres in the North Side the Towne haueing the land of Thomas Dudley Esqur on the North, and Robert Andrews toward the South. 1636 — Thomas Hardy had a house lot near the river adjoining Robert Andrews and Thomas Howlett. 1640 May 13 — Robert Andros is granted to draw wine at Ipswitch, with the conditions of the towne. 18 Jan 1641 — Robert Andrew wittnessed a deed from Daniel Denison to [our ancestor] Humphrey GRIFFIN of a dwelling house &c near the mill. Richard Scofield conveys the same to Robert Roberts 2:5mo : 1643. in which it is bounded by Robert Andrews, Mr. Bartlemew, John Perkins the younger and Thomas Boreman. Robert’s will, dated 1 March 1643, names his wife, Elizabeth, and his sons, John and Thomas; and his grandchildren, Elizabeth Franklyn and Daniel Hovey; showing that he must have had daughters, naming their husbands. By this means we are able to indentify them in other records and documents. The fact that he mentions John, son of Humphrey GRIFFIN, as a legatee, strongly suggests that the legatee was a relative. Humphrey Griffin died at Ipswich, 16 September 1662, leaving a widow, Elizabeth; his wife Joan died 17 July 1657; possibly the first wife may have been a kinsman to Robert Andrews, a sister perhaps. He also mentions with certainty his nephews, John, Thomas, and Robert Burnham. Thomas Howlett, designated as the guardian of his son, John, may have been related, yet he does not so state. 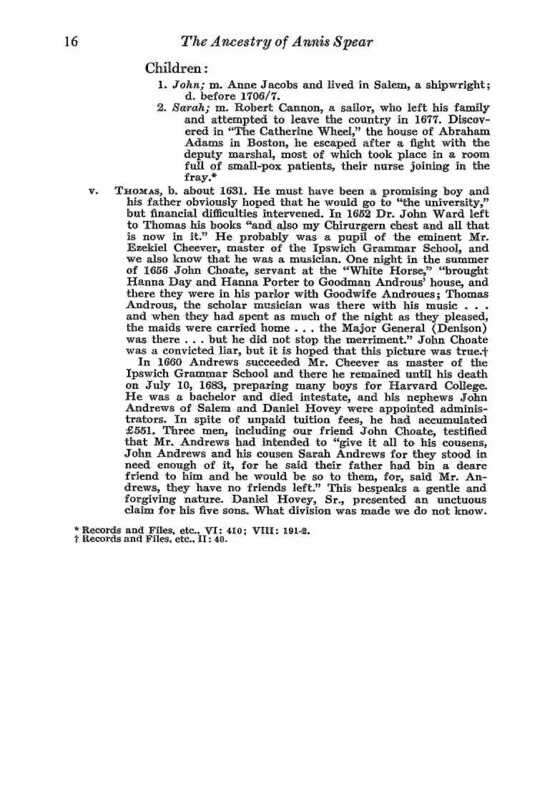 Howlett was one of the first settlers who went to Ipswich with Mr. John Winthrop, and his name is frequently mentioned in the early records, from which it appears that Andrews and Howlett resided near each other at Ipswich. Alice’s husband William Franklin was born about 1608 in England. William died Jul 1658 in Hendon, Middlesex, England. 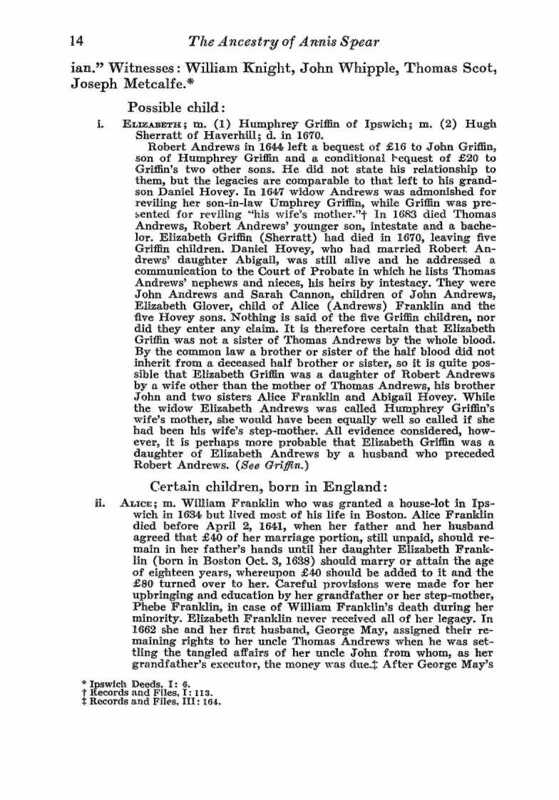 Alice, whose daughter Elizabeth Franklin was born in Boston on 3 October 1638, could not have been born herself much later than our suggested birth year for Elizabeth. And Abigail, who had a son by the time her father made his will, was probably not born later than 1623. There is then a gap of approximately five years before John’s birth. We know that Thomas was younger than John, since John was asked in his father’s will to look out for Thomas, hence the estimated year of birth of 1630 for the son Thomas. All of these, with the possible exception of John, are estimated dates, and some tolerance in either direction must be allowed for in the absence of more substantial evidence. John’s wife Sarah Holyoke was baptized 18 Sep 1623 in Tanworth, Warwickshire, England. She immigrated with her parents Edward Holyoke and Prudence Stockton. Sarah died 29 Apr 1666 in Lynn, Essex, Massachusetts. Sarah was the great-aunt of the famous Ann Putnam Jr. from the Salem Witch Trials. Sarah’s sister Ann married Lieutenant Thomas Putnam on 17 Oct 1643 in Salem, Essex, Massachusetts. His parents were John Putnam and Priscilla Gould and his grandparents were (our ancestors) Richard GOULD and Mary COLDER.Their son Thomas Putnam (1652 – 1699) was a participant in the Salem witch trials. 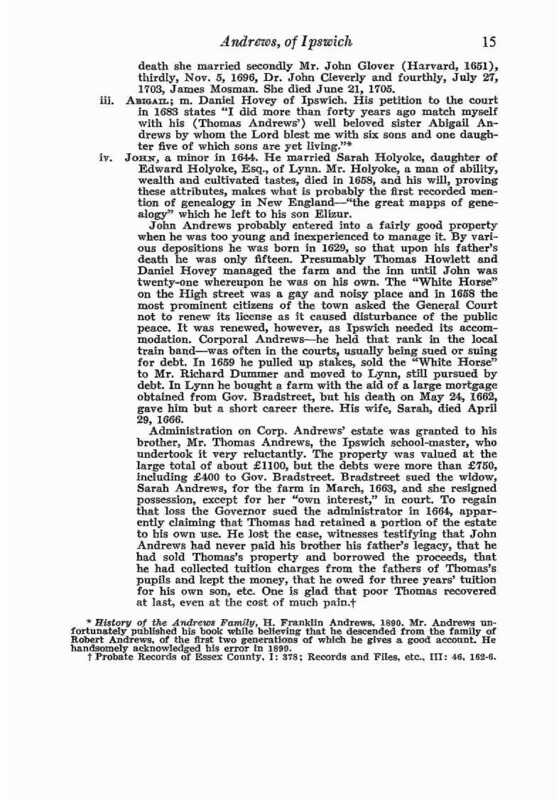 Thomas was the husband to Ann Carr, and father of Ann Putnam, Jr.. Thomas’ brother, Edward, also participated in the witch trials. Arthur Miller wrote the play “The Crucible” using composite characters from actual records of the Salem witch hysteria. In the play Thomas Putnam lives in Salem village and owns a bit of land close to Giles Corey. Giles accuses him of trying to steal it, and says that Putnam got his daughter to accuse Giles’ wife of witchcraft. This possibility is strongly supported by the play, and thus Putnam is one of the play’s true villains because of his resentments toward others and tendency to use it to advance himself. Ann Putnam is the wife of Thomas Putnam. She has one daughter, Ruth, but has had seven miscarriages. Ann is accusatory and harsh to many, but also very hurt by the deaths of her babies. In the play Ann Jr.’s name is Ruth, to avoid confusion with her mother, Ann Putnam Sr. In the play John Proctor is portrayed as being in his thirties and Abigail Williams is 17 and a half years old, while the real John Proctor and Abigail Williams were respectively about sixty and eleven years old at the time of the witch trials. In the play, they had an affair, as a result of which Abigail accused Elizabeth Proctor of witchcraft. In reality, Elizabeth Proctor was initially named by twelve year old Ann Putnam Jr. on March 6, alleging that Proctor’s spectre attacked the girl. She was accused by Abigail on March 14 and further accusations were made by Mercy Lewis. Miller has Mary Warren accuse Proctor of afflicting her but this followed his initial accusation by Abigail in early April 1692. There is no historical evidence to suggest that Abigail even knew John Proctor before she accused him of witchcraft. Ann Putnam, Jr (18 Oct 1679 – 1716), along with Elizabeth “Betty” Parris, Mary Walcott and Abigail Williams, was an important witness at the Salem Witch Trials. Ann was intelligent, well educated, and had a quick wit. At the time of the outbreak of witchcraft accusations, Ann was 12 years old. She was a close friend of several of the other afflicted girls. Mercy Lewis, 17, was a servant in the Putnam house, and Mary Walcott, 17, who was also afflicted, was perhaps Ann’s best friend. Ann, Mary, and Mercy were among the first villagers outside of the Parris household to be afflicted. Ann and six other young girls had listened as Tituba, Parris’s Indian servant woman, told tales of voodoo and other supernatural events in her native Barbados. The girls also engaged in fortune telling–concerning, for example, matters such as what trade their sweethearts might have. During one fortune telling episode, Ann reported seeing a specter in the likeness of a coffin. After this incident, Ann, Betty Parris, and Abigail Williams (the niece and home resident of Parris) began to display strange symptoms. They complained of pain, would speak in gibberish, became contorted into strange positions, and would crawl under chairs and tables. After Betty Parris was sent away, Ann and Abigail became the most active–as well as the youngest–of the accusers. Ann claimed to have been afflicted by sixty-two people. She testified against several in court and offered many affidavits. Her father, Thomas Putnam, was the chief filer of complaints in the village, and maintained complete control over the actions of the two afflicted girls living in his house. Most of the afflicted and the accusers were in some way related to the Putnam family. Ann Putnam Sr., Ann’s mother, would also become afflicted at times, and was in court almost as much as her daughter and servant. The mother and daughter Ann were a particularly formidable pair of actors. People from miles around trooped into the courtroom to watch their performances. In 1706, Ann Putnam publicly apologized for the part she had played in the witch trials. I desire to be humbled before God for that sad and humbling providence that befell my father’s family in the year about ninety-two; that I, then being in my childhood, should, by such a providence of God, be made an instrument for the accusing of several persons of a grievous crime, whereby their lives were taken away from them, whom, now I have just grounds and good reason to believe they were innocent persons; and that it was a great delusion of Satan that deceived me in that sad time, whereby I justly fear I have been instrumental, with others, though ignorantly and unwittingly, to bring upon myself and this land the guilt of innocent blood; though, what was said or done by me against any person, I can truly and uprightly say, before God and man, I did it not out of any anger, malice, or ill will to any person, for I had no such thing against one of them; but what I did was ignorantly, being deluded by Satan. And particularly, as I was a chief instrument of accusing Goodwife Nurse and her two sisters, I desire to lie in the dust, and to be humble for it, in that I was a cause, with others, of so sad a calamity to them and their families; for which cause I desire to lie in the dust, and earnestly beg forgiveness of God, and from all those unto whom I have given just cause of sorrow and offense, whose relations were taken away or accused. Some historians have speculated that her parents, Thomas and Ann (Carr), Sr., coerced Putnam to accuse those they were feuding with or sought revenge on. Many of the accused had some sort of relationship with the powerful Putnam family. When her parents died in 1699, Ann was left to raise her nine siblings aged 7 months to 16 years. Putnam never married. ii. Joseph Andrews b. 20 Sep 1657 in Ipswich, Essex, Mass. ; d. 5 Mar 1724 in Ipswich, Essex, Mass. ; m. 16 Feb 1680 to Sarah Ringe under name Joseph Andrews, Senr., of Chebacco, in Ipswich. John Jr. signed the petition in support of John Proctor oldest son of our ancestor John PROCTOR and his wife Elizabeth Proctor at the Salem Witch trials. 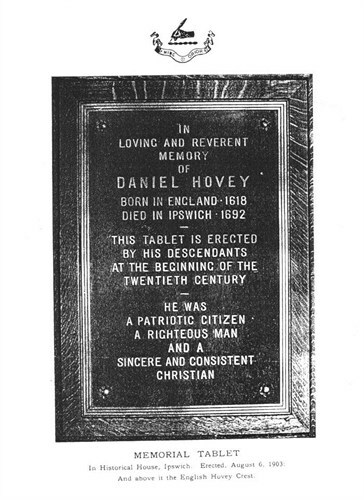 Abigail’s husband Daniel Hovey was born 9 Aug 1618 in Waltham Abbey, Essex, England. His parents were Richard Hovey and [__?__]. Daniel died 24 Apr 1692 in Ipswich, Essex, Mass. The freemen of the town granted to William Holdred a house lot of half-an-acre adjoining Daniel Hovey’s on the southwest, being on the south side of the river, and bounded by the house lot of Roger Preston on the southwest; also six acres of planting ground on Sagamore hill adjoining Daniel Hovey’s planting lot west, and the planting lot of Roger Preston on the east ; the grants being entered April 9, 1639; and both of these lots were conveyed by Mr. Holdred to “Daniel Hovey of Ipswich, planter,” and, also, one dwelling house built on the house lot and all the fencing belonging to both lots. Entered April 10, 1639. 10 Feb 1644 -The town of Ipswich ordered that Mr. Hovey be paid three shilHngs for killing three foxes. In 1648, he subscribed three shillings three times a year to Maj. Daniel Denison, “so long as he shall be their leader, to encourage him in his military helpfulness,” the whole annual sum being twenty-four pounds and seven shillings, and the largest subscription ten shillings. Mr. Hovey was somewhat prominent, and held several town offices in Ipswich, being chosen one of the selectmen Feb. 14, 1659; a surveyor of highways in 1648-9 and 1649-50; and a constable in 1658. In 1656, he was one of a committee to set up a saw mill on Chebacco river. The selectmen ordered, 12: 12: 1650, that Symon Tomson and Daniell Hovey shall view a certain parcel of land. * In 1649, he was a juror at Ipswich court. In the county court which sat at Ipswich 29: i: 1642, Mr. Hovey was plaintiff in three civil actions. One was against James Pitney and James Howe, in which he recovered judgment for nine bushels of corn ; one against Jo : Lee, which was not tried : and the other was against George Varnham and Jo : North, which was continued. 22 Dec 1652 – The town gave him liberty to set his fence down to the river at his ground which he bought of William Knowlton, making a stile at each end. At a town meeting held Feb. 14, 1659, Daniel Hovey was granted liberty to build a wharf against his ground that he bought of William Knowlton, and, also, such building as may tend to the improvement thereof. Mr. Hovey was living on his farm in Topsfield in 1663 and 1664. Jan. 15, 1663, he was chosen one of two persons to lay out some land. Mr. Hovey was complained of for speaking falsely to the prejudice of General Denison, and was fined twenty shillings in Ipswich court Sept. 24, 1667. The records show that in some case, in which evidently General Denison acted as magistrate, Mr. Hovey said that Major Denison did not write his determination nor state his sentence in public, and what was done occurred after he was gone, and that John Gould whispered in the major’s ear as he was going away. Magistrates did not allow themselves to be criticised in those days. In May, 1660, a colony went from Ipswich to Quaboag, a place subsequently named Brookfield ; and Daniel Hovey joined it in 1668. His sons James and Thomas went with him. The lots of land laid out to the father and sons adjoined, and were situated easterly of the little brook, on the north side of the road. While in Hadley, he lived on a farm of Mr. Henry Gierke ; and Mr. John Russell, jr., and Mr. Peter Tilton, sr., executors of the will of Mr. Gierke of Hadley, deceased, brought an action against Mr. Hovey, at the court in Springfield Sept. 26, 1676, for withholding rent due to said plaintiffs “for a ft’arm or Land of ye sayd Mr. Henry Glerkes which ye sayd Hovey hath Occupyed as a tenement.”* The jury found a verdict for the plaintiffs, and awarded them fourteen pounds damages, due in i676. The jury found a verdict for Mr. Hovey. Whether these proceedings and the unhappy contentions that must have been engendered by them had aught to do with his departure from Hadley or not the writer does not know ; but Mr. Hovey returned to Ipswich in 1678. Councils act to pay Daniel Hovey ii”” 1681.
deters vnto his eftate as alfo M’* Elifibeth Glouer wo is married to Mr.
fil runin in our Itrets. lo prays your humble petitioner. Airs I haue giuen them thire proptions of yt Eftat I had to our mutual! This entry was posted in 13th Generation, 14th Generation, Historical Monument, Immigrant - England, Line - Miller, Line - Shaw, Sea Captain, Storied, Witch Trials and tagged Capt. Elizur Holyoke, George Villiers 1st Duke of Buckingham, Sir Walter Raleigh's Quest for El Dorado, The Angel Gabriel 1635, The Crucible, The Great Colonial Hurricane of 1635. Bookmark the permalink. Thank you for your thorough research. I’m struggling with the various interpretations of Robert’s wife Elizabeth as well as the dates related to his birth and those of his children. The widely published birthdate of 1560 doesn’t make sense to me. He would have been 75 in 1635. Do you propose that his marriage to Elizabeth _____ was in England where the children were born? What do you think about the oft referred to Elizabeth Franklin. I see that you state the marriage in England. My apologies. may you be rich aand continue to guide others. Sir, you have on your page: Robert Andrews was born about 1593 in Norfolk, England. He married Elizabeth [__?__] about 1618 in Norwich, Norfolk, England. Capt. Robert Andrews came from Norwich, Norfolk, England, early in the year 1635, as owner and master of the ship”Angel Gabriel” which sank in the Great Colonial Hurricane, Robert died 1 Mar 1642/43 in Ipswich, Mass. OUCH. OUCH. OUCH. Please see the excursus on Robert Andrews in Robert Charles Anderson’s “Great Migration: Immigrants to New England 1634-1635,” pages 52-46, which corrects almost everything you have posted here. I, too, am a descendant of Robert Andrews, a professional genealogist, and head of Flagon & Trencher: Descendants of Colonial Tavernkeepers, a 54-year-old lineage society focusing on that topic. 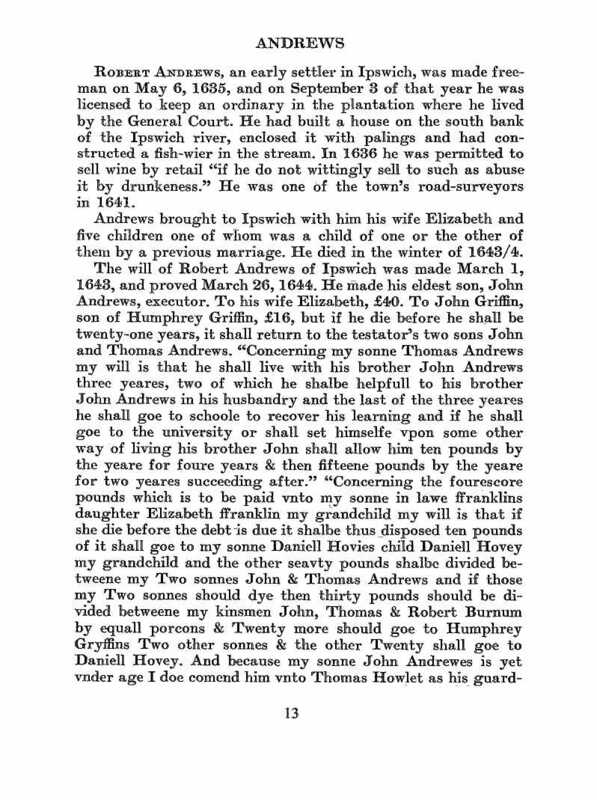 Robert Andrews and his son John were both tavernkeepers in Ipswich. There was never any question of Robert Andrews being a ship captain, and as Anderson points out, it would have been impossible for him to even have come on the Angel Gabriel since he was already here before that ship sailed. As a bit of assistance, you will find MANY other of your ancestors shown on your page in the entire 10-volume compendium by Anderson, which I strongly suggest you consult as you correct the many errors on your page. A noble effort, to be sure, and definitely deserving of more attention to make it trustworthy. Here’s to our ancestors! Without them where would be? My apologies regarding that citation. A typo: Anderson’s pages 52-56, not 46.